Wheel-Roulette.net | Cheating, Cheating, Cheatingâ€¦ How Roulette Gamblers Do That? Well, if you have ever played roulette, you must have even thought about the possible ways of beating the machine. Just for curiosity, if nothing else. We all know it is illegal, punishable by all means, but it is still something you can think about, isn't it? Let us give you some insight about proven methods of cheating - some of them are responsible for great profits, some for few years in jail. You can even end up as a persona non grata in the particular casino, and even in casinos all over the world. We all heard some stories about fixed roulette wheels, but the interesting thing is that such things used to be done in the past, either by dishonest casino owners, or players. And how did they do that? Well, it was quite simple - one of the methods was putting something sticky on particular section of the wheel - this way the probability for the ball landing on that particular section was much higher. The other method was using the magnets for the same purpose - you couldn't fix the exact number, of course, but your odds would become significantly higher, and that was just about enough to earn some serious winning. Considering the casinos' working hours, the job could be done only if you had someone inside the actual casino stuff. Anyway, this method was only applicable in the live casino in the past, today the control level is much higher then it was back then. Let's imagine following situation - you are a roulette dealer for years. Night after night you are doing the same thing - spinning the wheel, throwing the ball - after so many years you would be able to predict the outcome, surely. Maybe not the exact number, but approximately. All that you need is the partner player who will put his chips on that particular area. Theoretically, it could be done. The risk is extremely high, but that could be done. 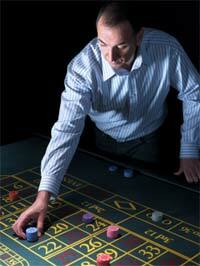 In the actual casinos, as well in live online casinos with real dealers. If you can find the way to use the computer technology in live casino undetected, it is something it can be done. Once the wheel is spinning computer uses the data about the speed of the wheel and the speed of the ball, including all technical info about deceleration etc, to calculate the section the ball will land on. It was actually done in London, few years ago, with nice, 1.7 mil$ winning in just one night. You can even buy such a device, as we have heard. The same thing can be done when playing live online roulette, supposedly, although we don't have actual proofs.